Yes, potatoes are 100% free of gluten free and are a great choice for anyone with celiac disease or gluten sensitivities. Are Swaz potatoes genetically modified? 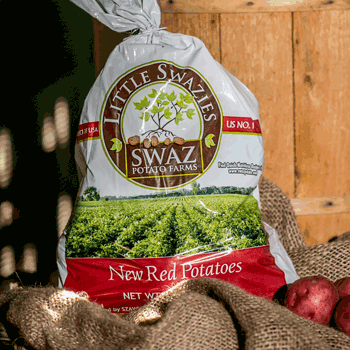 No, Szawlowski Potato Farms DOES NOT grow or market genetically modified (GMO) potatoes. What are the sizes of your packaging? Potatoes should be stored in an area that is dark and cool but not cold. Do not store potatoes in a refrigerator – the temperature is too cold and will turn the starch to sugar and will change the flavor of the potato. How long will a potato keep in storage? Potatoes will keep for 4 to 6 weeks in a cool, dark area. If they begin to sprout and shrivel, they are still edible. What if a potato has green spots? Over-exposure to light can cause the chemical solanine to develop under the potato skin, resulting in a green color and bitter taste. 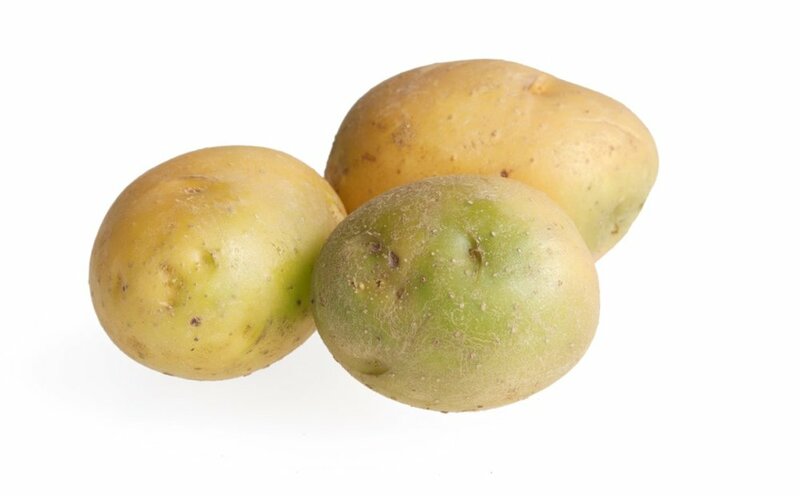 It is best to cut away any green part of the potato as it is toxic, although only harmful when eaten in large amounts. What if a potato has dark spots inside? 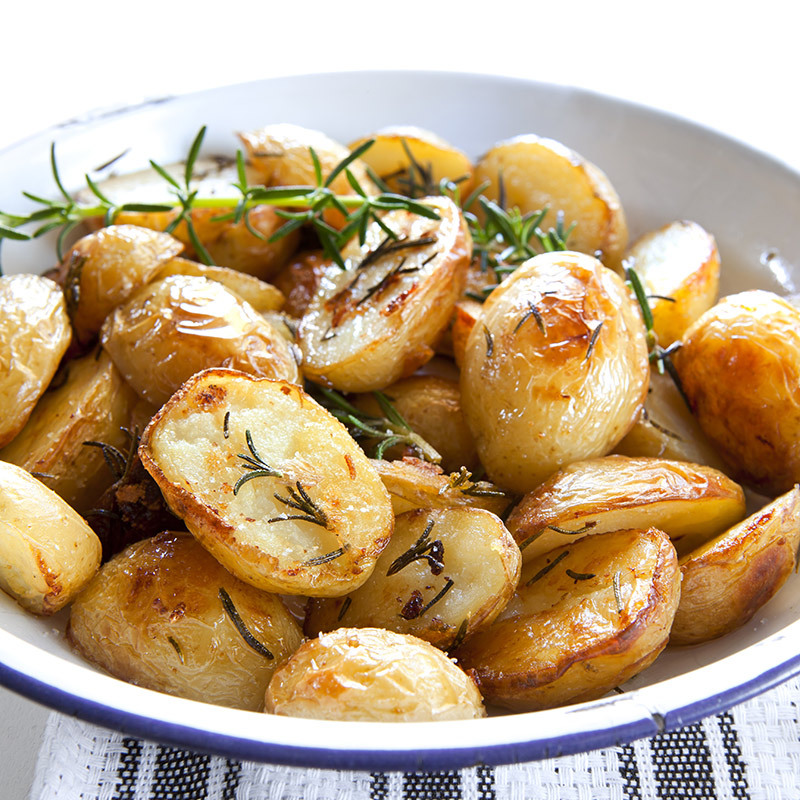 Internal black spots in potatoes are bruises – the potato is still safe to eat if the spots are cut away. What if a potato is sprouting? Sprouting occurs when the potato is trying to grow. This is a natural process and does not affect their edibility - cut the sprout off and enjoy!